The customer experience of booking a trip has changed big-time over the last decade. Long gone are the days of traipsing into a travel agent to book a flight. Nowadays, there aren’t just websites to tell you what the cheapest deals are – you can even find out things like when’s the best time to book, making sure you always secure the lowest price. While this all sounds like great news for jetsetters, it does mean travel brands have entered a race to the bottom in terms of price, leaving customers scratching their heads when it comes to working out which service is actually best. After all, short of operating at a loss, brands can’t afford to keep slashing their prices, they need to find other ways of standing out in a crowded market. The most obvious way of doing this is by offering a customer experience that cruises 35,000 feet above the competition – and we don’t just mean lavishing on the free bubbly. As anybody whose luggage has ever ended up in Bangkok when they’re in Birmingham will tell you, travelling is loaded with opportunities for things to go wrong. This goes to show, a great customer journey isn’t just about the added extras, it’s about the way brands handle problems – and for a one-way ticket to improving in this area, you need plenty of customer feedback. It sounds simple enough – travel’s an emotionally loaded experience, after all. There are a million and one moments where customers can be left delighted or distraught, so surely your customers will be lining up to tell you how they’re feeling? But when things run more or less as they should, customers are much less likely to bother giving any feedback at all. Time can also diminish the desire to Rant or Rave, so sending out a request for feedback two weeks after a trip is unlikely to yield great insight. This leaves you with a whole bunch of ‘silent travellers’ who aren’t making a peep, leaving you struggling to understand customer expectations, let alone exceed them. This is true for all industries that involve customer service, not just travel – but the lesson remains the same. If you really want to take your service from economy to first class, you need to give those silent travellers a loudspeaker. Which is why we’ve developed a platform to do just that. As we discussed in our recent blog, emotion-driven, in-the-moment feedback offers the most insight. To target the silent traveller, you need to encourage and empower your customers to share this type of feedback. Start with the moments you can expect. There are certain points in every customer journey that have to happen – like returning from a holiday. 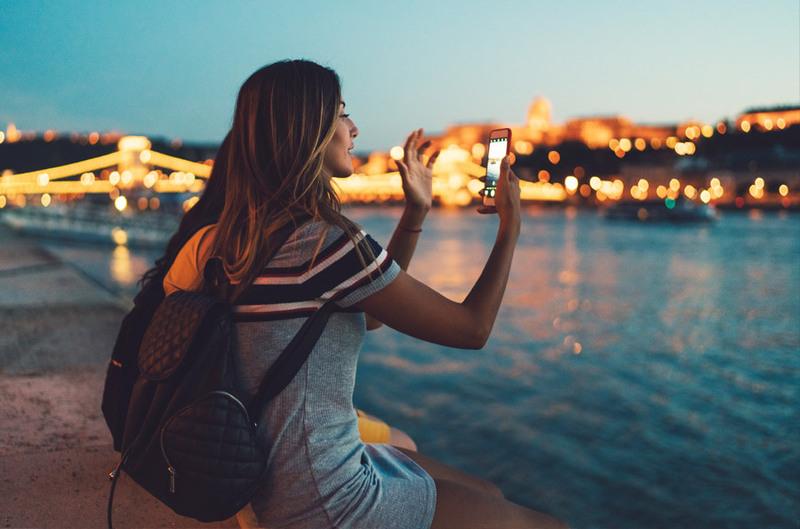 These moments are the ideal place for triggered feedback, where you target travellers during specific times on their trip. But that’s only half the story. Many key feedback opportunities are a bit more unpredictable – like delays, or baggage going missing. To capture feedback at these moments, you need to let your silent travellers wing it, giving feedback in whatever way (and at whatever time) suits them best. That’s why the Rant & Rave Platform offers Listening Posts, which allow your customers to give feedback by snapping a picture, pinging off a text, or scanning a Facebook messenger code as they please. It doesn’t need to be verbal, either – over 5 billion Emojis are sent over Facebook Messenger every day, so there’s no denying how popular they are as a medium for self-expression. We can even analyse photos, for the snap-happy customers in your midst. A combination of these approaches is the ideal way to get feedback from the silent traveller, because it prompts them where necessary and empowers them to interact in a way that suits them. Though of course, this feedback means nothing if you can’t turn it into actionable insight. That’s why the Rant & Rave Platform uses the Sentiment Engine to process all the emotional data you’ve collected, before presenting the insight back to you in a real-time dashboard. This gives everybody in the business the ability to understand the feedback that’s been given and act on it in real-time. Contact centre agents can even have access to a personalised view through our Frontline Engagement tool, giving them the power to improve their service on the spot. As a result you’ll be left with some seriously satisfied customers who’ll become Ravers for your brand, which is much more beneficial to your reputation than chipping another few quid off the cost of a flight.